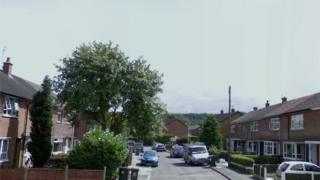 An injured man has been arrested on suspicion of murder after a woman was found dead in a house in Rochdale. The 39-year-old's body was discovered in Birch Crescent in the Newhey area at about 23:35 BST on Sunday. A 40-year-old man, who was later found by police with serious injuries, has been taken to hospital for treatment. He remains under arrest and will be questioned by detectives. Police said they believed the woman's death was an "isolated incident".